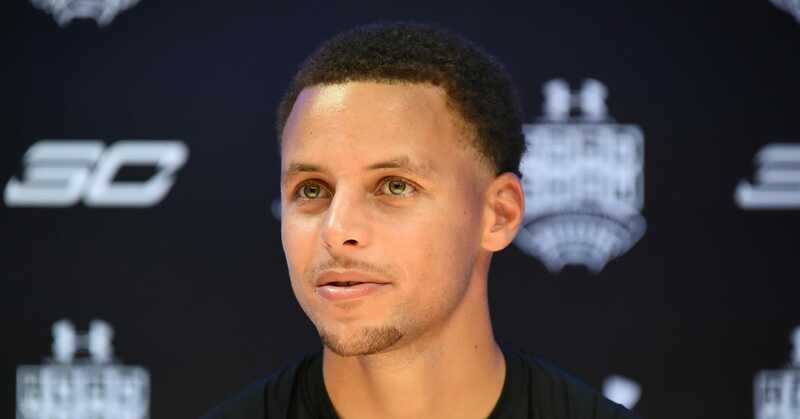 Imagine if you had the chance to play basketball against a superstar from the NBA like Stephen Curry. No matter how hard you practiced beforehand, you surely would lose. For most people, that would be fine. We would console ourselves with the knowledge that we tried our best and relish he fact that we even got the chance to be on the same court as a professional player. But some people would want to cheat to make things “equal” and “fair.” So they would say that the NBA player should have to play blindfolded, or while wearing high-heeled shoes. And perhaps they could impose enough restrictions on the NBA player that they could prevail in a contest. But most of us wouldn’t feel good about “winning” that kind of battle. We would be ashamed that our “victory” only occurred because we curtailed the talents of our opponent. Now let’s think about this unseemly tactic in the context of corporate taxation and international competitiveness. The United States has the highest corporate tax rate in the industrialized world, combined with having the most onerous “worldwide” tax system among all developed nations. This greatly undermines the ability of U.S.-domiciled companies to compete in world markets and it’s the main reason why so many companies feel the need to engage in inversions. 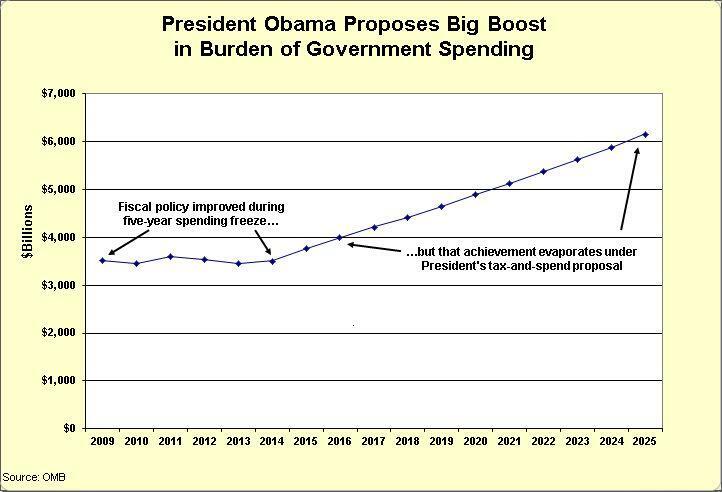 So how does the Obama Administration want to address these problems? What’s their plan to reform the system to that American-based firms can better compete with companies from other countries? Unfortunately, there’s no desire to make the tax code more competitive. Instead, the Obama Administration wants to change the laws to make it less attractive to do business in other nations. Sort of the tax version of hobbling the NBA basketball player in the above example. Here are some of the details from the Treasury Department’s legislative wish list. The Administration proposes to supplement the existing subpart F regime with a per-country minimum tax on the foreign earnings of entities taxed as domestic C corporations (U.S. corporations) and their CFCs. …Under the proposal, the foreign earnings of a CFC or branch or from the performance of services would be subject to current U.S. taxation at a rate (not below zero) of 19 percent less 85 percent of the per-country foreign effective tax rate (the residual minimum tax rate). …The minimum tax would be imposed on current foreign earnings regardless of whether they are repatriated to the United States. There’s a lot of jargon in those passages, and even more if you click on the underlying link. So let’s augment by excerpting some of the remarks, at a recent Brookings Institution event, by the Treasury Department’s Deputy Assistant Secretary for International Tax Affairs. Robert Stack was pushing the President’s agenda, which would undermine American companies by making it difficult for them to benefit from good tax policy in other jurisdictions. In other words, he doesn’t (or, to be more accurate, his boss doesn’t) want to fix what’s wrong with the American tax code. So he doesn’t seem to care that other nations are achieving good results with lower corporate tax rates. I do not buy into the notion that the U.S. must willy-nilly do what everyone else is doing. And he also criticizes the policy of “deferral,” which is a provision of the tax code that enables American-based companies to delay the second layer of tax that the IRS imposes on income that is earned (and already subject to tax) in other jurisdictions. I don’t think it’s open to debate that the ability of US multinationals to defer income has been a dramatic contributor to global tax instability. He doesn’t really explain why it is destabilizing for companies to protect themselves against a second layer of tax that shouldn’t exist. But he does acknowledge that there are big supply-side responses to high tax rates. …large disparity in income tax rates…will inevitably drive behavior. 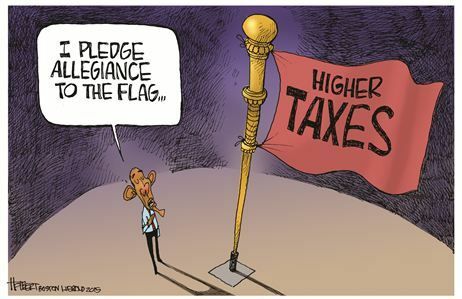 Too bad he doesn’t draw the obvious lesson about the benefits of low tax rates. Anyhow, here’s what he says about the President’s tax scheme. The President’s global minimum tax proposal…permits tax-free repatriation of amounts earned in countries taxed at rates above the global minimum rate. …the global minimum tax plan also takes the benefit out of shifting income into low and no-tax jurisdictions by requiring that the multinational pay to the US the difference between the tax haven rate and the U.S. rate. The bottom line is that American companies would be taxed by the IRS for doing business in low-tax jurisdictions such as Ireland, Hong Kong, Switzerland, and Bermuda. But if they do business in high-tax nations such as France, there’s no extra layer of tax. The bottom line is that the U.S. tax code would be used to encourage bad policy in other countries. Though Mr. Stack sees that as a feature rather than a bug, based on the preposterous assertion that other counties will grow faster if the burden of government spending is increased. …the global minimum tax concept has an added benefit as well…protecting developing and low-income countries…so they can mobilize the necessary resources to grow their economies. And he seems to think that support from the IMF is a good thing rather than (given that bureaucracy’s statist orientation) a sign of bad policy. At a recent IMF symposium, the minimum tax was identified as something that could be of great help. For what it’s worth, the right approach, both ethically and economically, is for American policy makers to focus on fixing what’s wrong with the American tax system. P.S. When I debunked Jeffrey Sachs on the “race to the bottom,” I showed that lower tax rates do not mean lower tax revenue. I’m in favor of free markets. That means I’m sometimes on the same side as big business, but it also means that I’m often very critical of big business. That’s because large companies are largely amoral. Depending on the issue, they may be on the side of the angels, such as when they resist bad government policies such as higher tax rates and increased red tape. But many of those same companies will then turn around and try to manipulate the system for subsidies, protectionism, and corrupt tax loopholes. Today, I’m going to defend big business. That’s because we have a controversy about whether a company has the legal and moral right to protect itself from bad tax policy. We’re dealing specifically with a drugstore chain that has merged with a similar company based in Switzerland, which raises the question of whether the expanded company should be domiciled in the United States or overseas. Folks on the left, though, are fanning the flames of resentment, implying that this would be an example of corporate tax cheating. But they either don’t know what they’re talking about (a distinct possibility given their unfamiliarity with the private sector) or they’re prevaricating. But there is a big tax advantage if Walgreen becomes a Swiss company. The U.S. imposes “worldwide taxation,” which means American-based companies not only pay tax on income earned at home but also are subject to tax on income earned overseas. Most other nations, including Switzerland, use “territorial taxation,” which is the common-sense approach of only taxing income earned inside national borders. The bottom line is that Walgreen, if it becomes a Swiss company, no longer would have to pay tax to the IRS on income that is earned in other nations. It’s worth noting, by the way, that all major pro-growth tax reforms (such as the flat tax) would replace worldwide taxation with territorial taxation. So Walgreen wouldn’t have any incentive to redomicile in Switzerland if America had the right policy. And this is why I’ve defended Google and Apple when they’ve been attacked for not coughing up more money to the IRS on their foreign-source income. But I don’t think this fight is really about the details of corporate tax policy. Some people think that taxpayers in the economy’s productive sector should be treated as milk cows that exist solely to feed the Washington spending machine. …ideologues on the left, even the ones who understand that the company would comply with tax laws, are upset that Walgreen is considering this shift. They think companies have a moral obligation to pay more tax than required. This is a bizarre mentality. It assumes not only that we should voluntarily pay extra tax but also that society will be better off if more money is transferred from the productive sector of the economy to politicians. Needless to say, I have a solution to this controversy. …the real lesson is that politicians in Washington should lower the corporate tax rate and reform the code so that America no longer is an unfriendly home for multinational firms. For more information, here’s the video I narrated on “deferral,” which is a policy that mitigates America’s misguided policy of worldwide taxation. And you’ll see (what a surprise) that the Obama Administration wants to make the system even more punitive. P.S. On this topic, click here is you want to compare good research from the Tax Foundation with sloppy analysis from the New York Times. P.P.S. Many other companies already have re-domiciled overseas because the internal revenue code is so punitive. The U.S. tax system is so bad that companies even escape to Canada and the United Kingdom! P.P.P.S. It also would be a good idea to lower America’s anti-competitive corporate tax rate. Whether it’s American politicians trying to extort more taxes from Apple or international bureaucrats trying to boost the tax burden on firms with a global corporate tax return, the left is aggressively seeking to impose harsher fiscal burdens on the business community. He thinks the right response is higher taxes on multinationals. While a Senate report detailing Apple’s aggressive tax sheltering of billions of dollars of overseas income grabbed headlines this week, …the American drug maker Actavis announced that it would spend $5 billion to acquire Warner Chilcott, an Irish pharmaceuticals company less than half its size. Buried in the fifth paragraph of the release was the curious tidbit that the new company would be incorporated in Ireland, even though the far larger acquirer was based in Parsippany, N.J. The reason? By escaping American shores, Actavis expects to reduce its effective tax rate from about 28 percent to 17 percent, a potential savings of tens of millions of dollars per year for the company and a still larger hit to the United States Treasury. …Eaton Corporation, a diversified power management company based for nearly a century in Cleveland, also became an “Irish company” when it acquired Cooper Industries last year. …That’s just not fair at a time of soaring corporate profits and stagnant family incomes. …President Obama has made constructive proposals to reduce the incentive to move jobs overseas by imposing a minimum tax on foreign earnings and delaying certain tax deductions related to overseas investment. But Mr. Rattner apparently is unaware that American firms that compete in other nations also pay taxes in other nations. Too bad he didn’t bother with some basic research. He would have discovered some new Tax Foundation research by Kyle Pomerleau, which explains that these firms already are heavily taxed on their foreign-source income. …the amount U.S. multinational firms pay in taxes on their foreign income has become a common topic for the press and among politicians. Some of the more sensational press stories and claims by politicians lead people to believe that U.S. companies pay little or nothing in taxes on their foreign earnings. Last year, even the president suggested the U.S. needs a “minimum tax” on corporate foreign earnings to prevent tax avoidance. Unfortunately, such claims are either based upon a misunderstanding of how U.S. international tax rules work or are simply careless portrayals of the way in which U.S. companies pay taxes on their foreign profits. 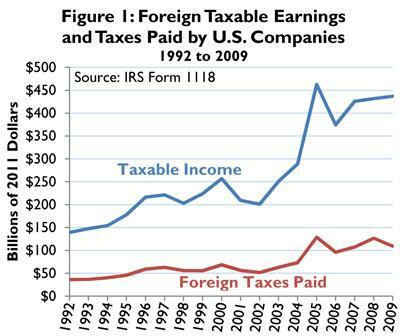 …According to the most recent IRS data for 2009, U.S. companies paid more than $104 billion in income taxes to foreign governments on foreign taxable income of $416 billion. As Table 1 indicates, companies paid an average effective tax rate of 25 percent on that income. Unfortunately, the New York Times either is short of fact checkers or has very sloppy editors. Here are some other egregious errors. And none of this counts Paul Krugman’s mistakes, which are in a special category (see here, here, here, here, and here for a few examples). *There is an important lesson to be learned when American companies redomicile overseas. Unfortunately, the New York Times wants to make a bad system even worse. P.S. 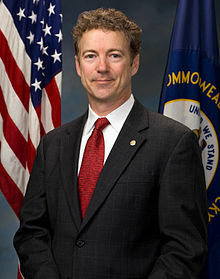 Rand Paul has a must-watch video on the issue of anti-Apple demagoguery. The Senate is holding a Kangaroo Court designed to smear Apple for not voluntarily coughing up more tax revenue than the company actually owes. Apple is fully complying with the tax law. There is no suggestion that Apple has done anything illegal. The company is being berated by politicians for simply obeying the law that politicians have enacted. What’s really happening, of course, is that the politicians are conducting a show trial in hopes of creating an environment more conducive to tax increases on multinational companies (this is in addition to the OECD effort to impose higher tax burdens on multinational firms). It is better for Apple to retain its profits than it is for politicians to grab the money. If Harry Reid, Barack Obama, and the rest of the crowd in Washington are able to use this fake issue as an excuse to raise taxes, the only things that changes is that the tax system becomes more onerous and politicians have more money to spend. Neither of those results are good for growth, particularly compared to the potential benefits of leaving the money in the productive sector of the economy. 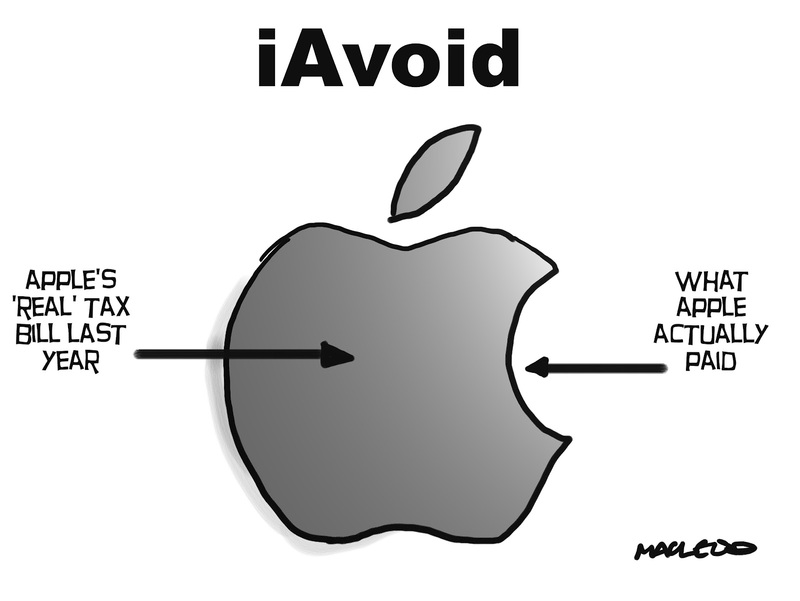 Apple shouldn’t pay any tax to the IRS on any of its foreign-source income. A few years ago, Google was criticized for paying “only” 2.4 percent tax on its foreign-source income, but I explained that was 2.4 percentage points too high. Likewise, when Apple earns money overseas, that should not trigger any tax liability to the IRS since the income already is subject to all applicable foreign taxes (much as, say, Toyota pays tax to the IRS on its US-source income). Good tax policy is based on the common-sense notion of “territorial taxation,” which means governments only tax income and activity within their national borders. Unfortunately, the American tax system is partially based on the anti-competitive policy of “worldwide taxation,” which means the IRS gets to tax income that is earned – and already subject to tax – in other nations. Fortunately, we have a policy called “deferral,” which allows companies to postpone this second layer of tax. If Apple is trying to characterize US-source income into foreign-source income, that’s because the US corporate tax system is anti-competitive. Multinational companies often are accused of “abusing” transfer-pricing rules on intra-company transactions to inappropriately turn US-source income into foreign-source income. To the extent this happens (and always with IRS approval), it is because the American corporate tax rate is now the highest in the developed world (and the second highest in the entire world), so companies naturally would prefer to reduce their tax burdens by declaring income elsewhere. So the only pro-growth solution is lowering the corporate tax rate. It’s worth noting, by the way, that the Tax Foundation recently estimated that the revenue-maximizing corporate tax rate is 14 percent. *I want to maximize growth, not maximize revenue.